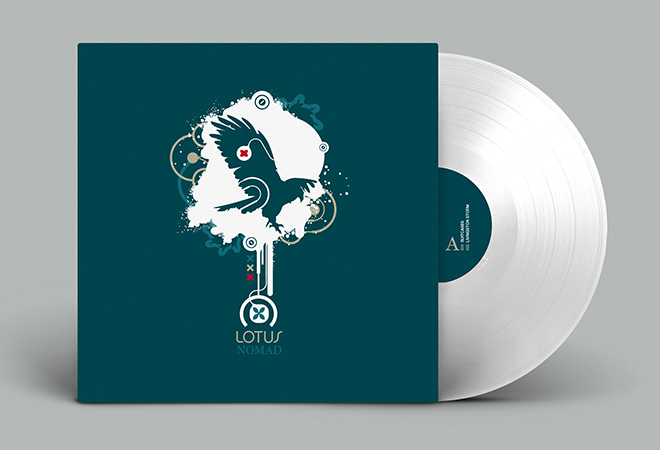 Lotus will soon release a special edition vinyl LP of their album, Nomad. This release commemorates the 10th anniversary of their second LP, an album that for many marked the arrival of the band. Okay designed and illustrated the original and was excited to be called on again to update it for the new release. This time the album features a more subdued design sensibility, rich spot colors, and a spot varnish for added awesomeness. Along with a custom white vinyl record, the end result is a record that feels as good in your hands as it does in your ears.